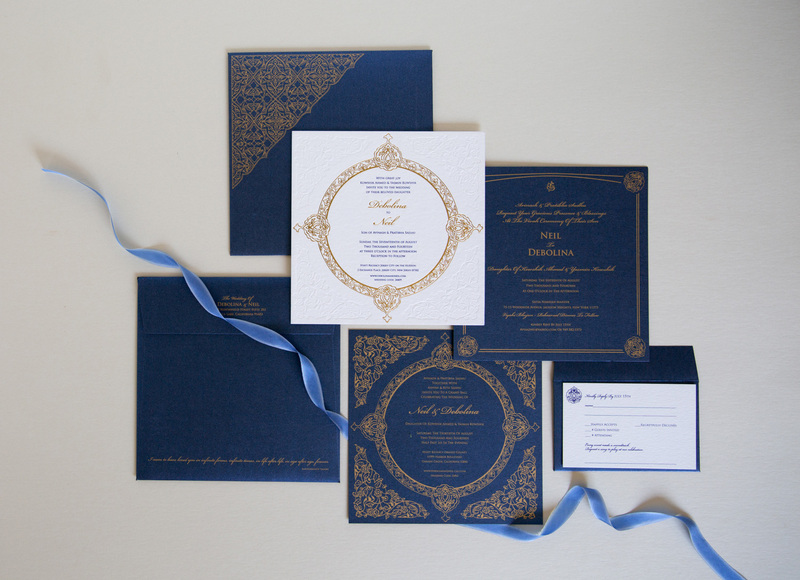 Mystical and serene, the Persia is the poet of our designs. 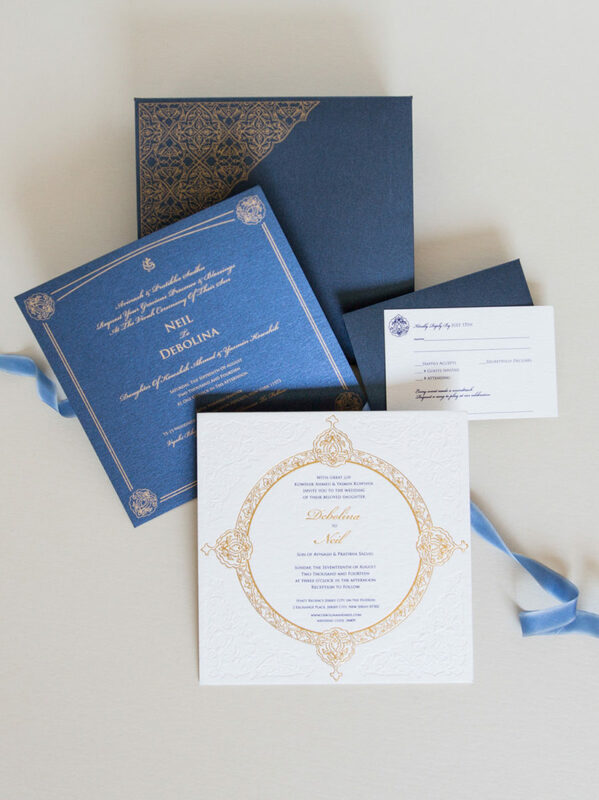 Based on designs from vintage Iranian manuscript motifs, the invitation is letter pressed with gold foil on ultra-thick Italian cotton card stock. • Shown in maroon and ivory with a gold foil printed folio for Sameer and Altaf’s gorgeous poetry inspired wedding at Vibiana, Los Angeles. 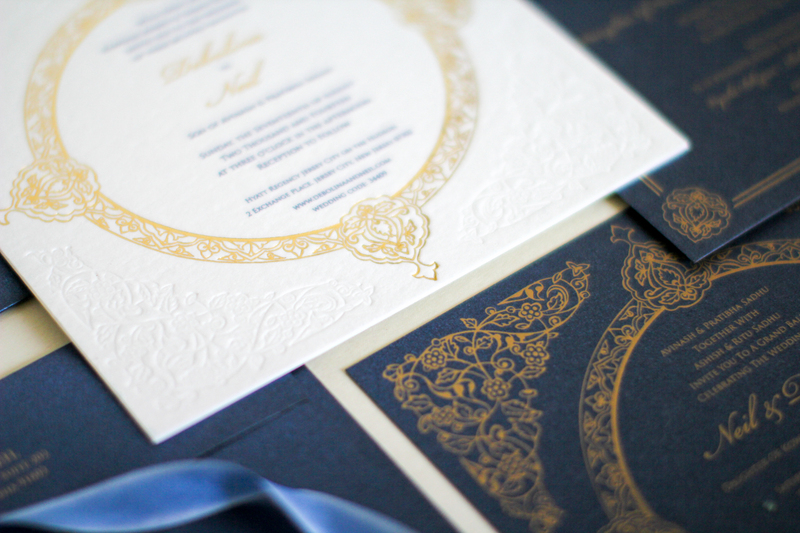 • Shown in frosted gold and ivory cotton on 4-ply cotton for Faisal and Mona’s wedding at the Hyatt Regency in Huntington Beach. 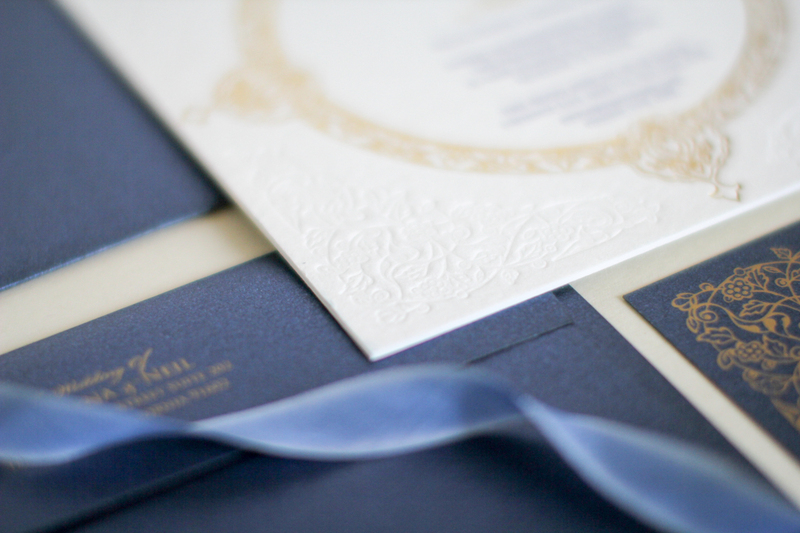 • Shown in navy and ivory cotton on 4-ply cotton for Debolina and Neil’s wedding at the Hyatt Regency in Orange County.